Tū ki te marae, tū ki te ao, hewa mauri ora. Tēna tātou e te whānau, tuatahi, me mihi ki tō tātou matua nui i te rangi, nāna nei ngā mea katoa. Tuarua, ki ngā mate hohua o te wā, haere. Haere ki pae maumahara, haere ki te kainga tūturu mō tāua te tangata. Mate atu he tete kura, ko rātou tēna i okioki ai. Ara ake he tete kura, ka hoki tēnei ki ngā kanohi ora, koutou rā e te whānau, tēna koutou. Last year’s kapa haka rōpū at the regionals. 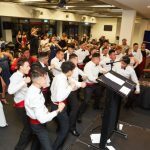 A large group of our Paerangi students (from years 10 – 13) will be performing at the festival on Thursday 14th April at 2.30pm and our entire kura whānau will be attending to support the kaupapa and enjoy being a part of the largest Tai Tokerau annual secondary school event. All ākonga will travel by bus, departing from our Lower Dent Street campus, at 9.30am and will return by 5.30pm. The ‘North’ bus will depart at 5.30pm that evening. Whānau are welcome to attend the event with us but must make your own travel arrangements as buses will be full. All ākonga are expected to arrive to school in full, clean, school uniform, and will remain in this all day. They should also bring a snack and a large water bottle/drink. Otamatea High School are selling hāngi at $10 each. If you would like your tamaiti to have a hāngi for lunch at the festival, we need their $10 paid to the school office no later than next Thursday 17th March. If you are not purchasing a hāngi for your tamaiti you will need to ensure you provide them with a packed lunch OR money to buy kai on the day. The Kura will only be ordering the exact number of hāngi that have been paid for by next Thursday. A big thank you to our taitamariki who have been attending Monday night practices. Thank you also to our parents and whānau who have been here by finish time at 6pm to collect your taitamariki. 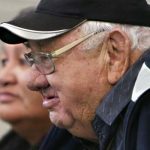 A special thank you to Matua Ralph, Matua Gene and Matua Tātai for their time and efforts in supporting our taitamariki with kapa haka. Further details about festival will be given to you as we draw closer to the event. Feel free to contact me with any queries. 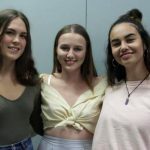 Singer, song writer and documentary maker, Moana Maniapoto, was the lead presenter at a Rangatahi Business Workshop hosted by the Kura this week. Widely considered one of the country’s leading indigenous acts, Moana offered advice to ākonga on running a business, including leadership and management. Level 2 Biology went to Smugglers cove on Friday 4th March to collect data about the distribution of Nerita Snails and Limpets. Both populations graze on the algae growing on the rocks and the ākonga will use the data to see if there is any pattern to their distribution between high and low tide that can be attributed to competition for kai between them. It was a great morning with good weather and spectacular views on the walk in and out. Our ākonga worked hard and were attentive to the korero from Whaea Jacinthe and Matua Chris. It was a successful and enjoyable morning. Ākonga will now combine the data they collected with the Biology ideas they have learned in class to write a report on the relationship between the Nerita and Limpets and how other environmental factors such as drying out affects them both. This NCEA standard is worth 4 credits at level 2. This year at Te Kāpehu Whetū, Paetawhiti/Paerangi ākonga have access to a Public Health Nurse available for all health needs. Whaea Gloria Reid has over 30 years’ experience in nursing and is available every Monday from 11am onwards and will be based in Whare Kowhai for these visits. Ākonga who want to see Whaea Gloria can leave their name with Whaea Christie at reception. She will also be doing opportunistic throat swabbing for Rheumatic Fever. On Tuesday 8th March consent forms for Year 7 whānau about the Boostrix vaccinations and Year 8 girls about the HPV vaccinations went home with ākonga. Could these please be returned by Monday 14th March at the latest. If you did not receive one from your child please contact Christie at reception. If your child/ren aren’t registered with a dentist we can register them here at Kura with the DHB. They will be doing school visits at Paenuku, Paetawhiti and Paerangi this year so it would be worth making use of the free service in school. Forms are available at reception (see Christie) they must be completed and returned to school as soon as possible. 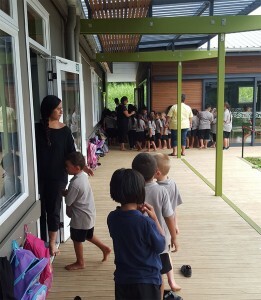 The new building for Paetawhiti opened two weeks ago. It’s a purpose built space at 183 Lower Dent St, right next door to Paerangi. Heiwari has the line in his sights against Dargaville on Wednesday. 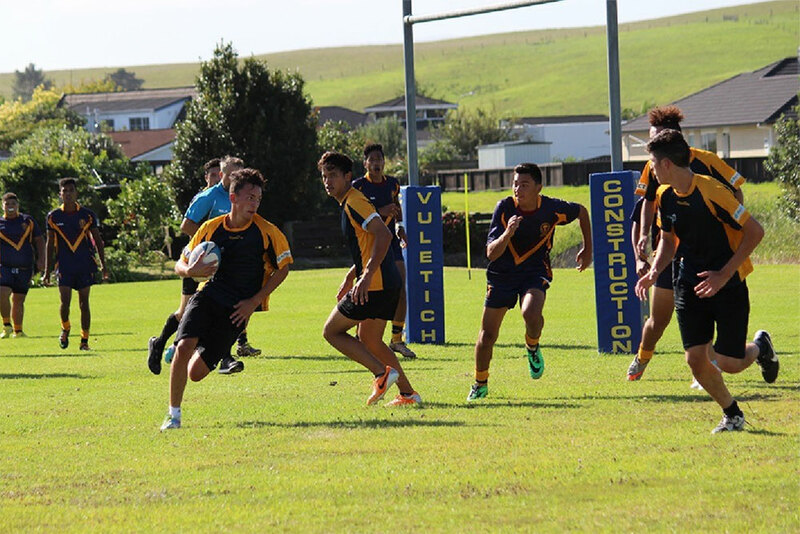 A safe trip from Kura to Dargaville ensured the league boys had ample time to warm up and properly prepare for the challenge against Dargaville High. Kick off came and started in the best possible way with TKW captain Qadmiel Edmonds scoring next to the posts and the successful conversion giving the Kura an early 6-0 lead. The lead was short lived as Dargaville came back strong and through their outstanding forward pack scored next to the posts. They followed up with a great move off the scrum to again score in a handy position for their kicker. Both tries were converted giving Dargaville a solid 12-6 lead midway through the first half. A couple of tries from both teams followed and saw Dargaville go into the break with a 28-20 half time lead. The second half promised to be a torrid affair however Dargaville were too strong, particularly up the middle with their strong running and tackling. Paora Allen toiled well for TKW, as did Nico Te Whata and Heiwari Smith who both tackled and ran hard all day. Although the score blew out a little, the coach was really happy with the discipline and character. The coach knows the boys are betterthan they demonstrated against Dargaville, with another big clash against Boys High in their next game. The team, coach and support team acknowledge the support of all the whānau and friends that come out to watch the boys each Wednesday. Waka Ama practises are Tuesday and Thursday from 3:30—5:30 at Kissing Point in preparation for this year’s Waka Ama Secondary School Nationals in Rotorua from April 4—8. For Paerangi paddlers only. Calling for whānau support to coach or manage our netball teams for 2016 for Paetawhiti and Paerangi. If you are interested in either of these roles please see Whaea Ringi or Whaea Jackie at the Kura office asap. If your kotiro is interested in playing netball this season see Whaea Ringi. Training days and times will be confirmed once coaches are selected. Intermediate Netball and Senior Netball Fees Girls wanting to play netball need to have their fees paid by mid April please. Volleyball – whānau who have players wanting to go to the nationals in Palmerston North in April are advised to get in touch with Coach Jason Woods asap. It costs $500 per player to go on this trip. Some serious fundraising will be required over the next month to support these players. Any shortfall in funds will be met by whānau. 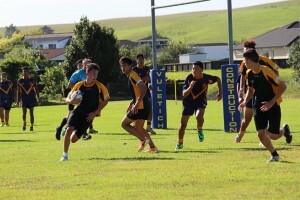 Some of the Paetawhiti boys in the High Performance Academy are put through their paces. Awesome mahi on Whakaruru Te Hau. Thank you to Matua Chris, Matua Ralph, Matua Jade, Hendrix, Tukaiaia, Mahina, Hori, Mowaiva, Opal, Ngaroma, Rina, Kewene, Kiani, Whaea Jolene and Matua Oti for all their support, guidance and aroha shown to our ākonga. It was a great first time experience for many with more opportunities ahead. Leadership acknowledgements to Tetahi and Derek for outstanding role modelling and fair play. Congratulations Mako for winning this week’s Paetawhiti challenge. Congratulations to Tui for winning the tug-of-war inter platoon challenge. Congratulations to the Pouako for beating the seniors at tug-of-war. 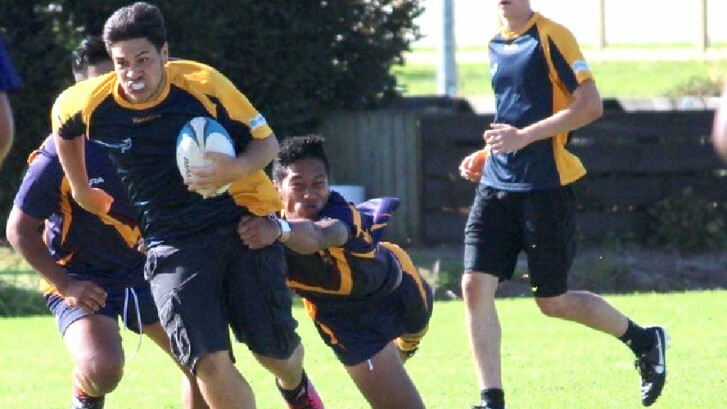 A number of ākonga have been participating in inter-school competitions, volleyball, touch, waka ama, bowls and rugby league. We are proud of all our ākonga who are stepping up to the challenges and leading by example. Literacy in Paetawhiti is at a good standard. This term we are focusing on myths and legends, creative writing, lyrics and poetry. Whaea Marion has a literacy programme parallel to her Year 7 and 8 classes and these ākonga are rapidly improving. Science for Years 9 and 10’s are looking at salt and fresh water respectively. Matua Chris has organised Thursday lunchtimes as a science study class for Putara and Autahi. Our junior maths for Years 7 and 8 are focusing on number knowledge and building strategies for working out number problems. If possible whānau please work on multiplication facts at home with your tamaiti. Years 9 and 10 are also doing number knowledge, decimal fractions and percentages. Drama is concentrating on team building exercises and developing self-awareness and confidence to perform in front of others. Health is focusing on the dynamics of healthy life styles and having a healthy wellbeing, using Dr Mason Durie’s Taha Wha model. Cadet Forces programme has begun with Staff Luke and Staff Gene, preparing and focusing our boys for the Leadership Academy. 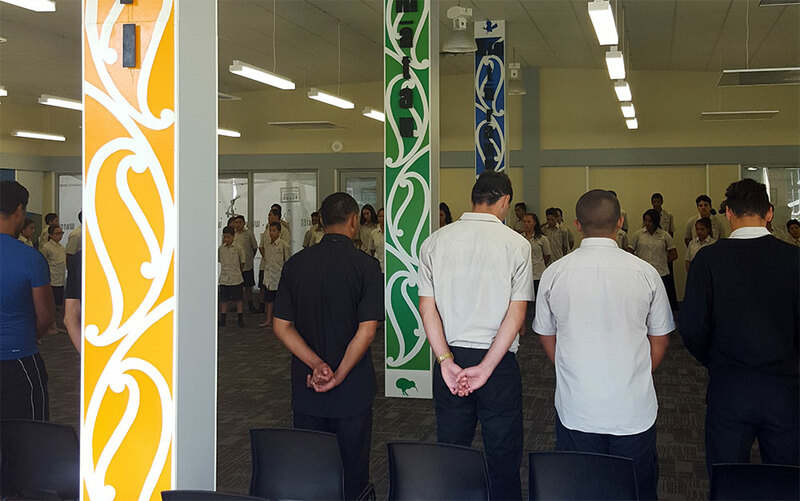 Our ākonga are in streamed classes and the focus is on the 28 Māori Battalion, values of Te Kāpehu Whetū, pepehā and basic mihimihi. Our reo classes are fluid meaning ākonga are moving as their reo improves. Our kapa haka practises have been inspiring and our ākonga are preparing to support Paerangi at the Tai Tokerau festival in Otamatea. Ākonga must remain in their seats throughout the entire journey to and from Kura. There is no eating or drinking allowed on the bus. All ākonga must listen to and follow the requirements and instructions of the bus driver when in transit. Ākonga are not to engage in any behaviour that could put other passengers, the driver or themselves at risk. The bus service is an extension of our Kura so we expect that all ākonga will respect the bus property at all times, the same way they respect our Kura. Ākonga who are found to be causing serious disruptions on the bus will be removed for either a day, week or indefinitely until issues are resolved with whānau. Any queries about this kaupapa to Maia Henare. With an increase of 70 new ākonga there has been a notable increase in pilfering and theft. We are working on a strategy to combat this and identify the one’s responsible, in the meantime we ask whānau to check their tamaiti’s bag on their return from Kura to ensure they haven’t come home with something that doesn’t belong to them. We also ask parents to refrain from sending their tamaiti to Kura with valuable items. As part of our drive towards sustainability, we are introducing a series of lifestyle principles throughout the Kura aimed at improving our choices around kai, and better health and fitness. Our immediate focus is healthy lunches and we encourage whānau to tautoko the idea by not sending ākonga to Kura with noodles, pies, and fizzy/sweet drinks. We realise there are economic ramifications for whānau. But there are also huge cost and health benefits downstream. We have Weetbix available for ākonga who need breakfast or are hungry. Ākonga are at a time of rapid growth and development, and a time when many habits and behaviours are set. A healthy lifestyle, including healthy eating, will help to ensure a healthy future. The only ākonga permitted to bring vehicles to Kura are the Year 13 students. Mopeds or scooters will be allowed to be parked in the immediate vicinity of the Kura. Cars are to be parked in the car park near the roundabout at the intersection of Lower Dent and Carruth Streets. All ākonga bringing vehicles to Kura will need to present a driver’s licence appropriate to their vehicle and abide by the conditions of their licence. The Kura will not take any responsibility for the vehicle or its driver. That is up to the whānau. However we will step in if the driver’s actions impact on our ākonga and immediate community. Driving a vehicle to Kura is a privilege, not a right. We expect ākonga to take that responsibility seriously. Applications to bring vehicles go to Whaea Maia in the front office. Only Year 12 and 13 ākonga are permitted to leave the Kura premises during the morning tea and lunch breaks. Ākonga are expected to be back onsite 15 minutes before the end of each break. They must also sign in and sign out when going off the premises. Whānau are not permitted to take photos at kura events in our controlled spaces without prior approval. We appreciate there are times and events where whānau are trying to capture moments involving tamariki. However that is difficult when non-whānau are photographed as well and as an organisation we have to respect the privacy of others who for whatever reason do not want their image or that of their children taken or recorded. Whānau are advised there are only XL PE uniforms left. Whaea Gloria is here at Paenuku once a week. If you have any concerns and would like her to see your child, please let us know. Whaea Gloria is able check your child’s health, give advice, take throat swabs and can also prescribe antibiotics if necessary. Apart from a plain black cardigan or jersey, our uniform remains the same throughout the year. We are noticing ākonga arriving in multi coloured jerseys/cardigans. These are not part of our school uniform and must not be worn to Paenuku. Please ensure that your child wears the correct uniform to kura each day. We’ve had a suspected case of scabies at Paenuku. Scabies are highly contagious, especially in clothing and sheets. We ask whānau to keep an eye out for any of the symptoms. Take your tamariki to the doctor immediately if you suspect they have scabies and inform the Kura. Treat them with a pharmacy or doctor prescribed cream immediately. Insist that your tamariki do not lend or borrow any items of clothing. Any clothing or bedding at home must be hot washed and dried. If your tamariki have any of the symptoms, please do not return them to kura until 24 hours after they have received treatment. These little critters are currently making their way around Paenuku. They are not only frustrating to ākonga but at times can be very embarrassing to them also. Whānau, can you please check your child’s hair and treat if necessary. In order to help eliminate these, please talk to your child and discourage them from sharing their pōtae.